Thanskgiving is undoubtedly one of the biggest national holidays of the year. So many of the ideas that we hold around the holiday though—how it started, why we eat Turkey, the idea that turkey makes you sleepy—are actually entirely false. Yes, chew on that this Thanksgiving. With that in mind, we’ve investigated some of the biggest myths surrounding Thanksgiving to see how they hold up under the microscope. 1. Turkey Makes You Sleepy. False (sort of). This is the possibly the biggest myth surrounding the Thanksgiving holiday. The chemical tryptophan gets tossed around a lot as to why turkey makes you sleepy, but in reality there is no more trptophan in turkey than there is in pork or cheddar cheese or even spinach for that matter. So then why are you so tired after eating your Thanksgiving meal? Do you really need to ask—you’ve just packed four meals into one, along with booze and a long day spent with family. So no you’re not exhausted after Thanksgiving solely because of the turkey, but we won’t blame you for wanting to take an extra long nap after dinner. 2. The Pilgrims Ate Turkey at the First Thanksgiving and That’s Why We Eat It Every Thanksgiving. False! While it isn’t exactly know what was eaten on the first Thanksgiving, there are historical accounts that venison was the main dish served. Author and magazine editor Sarah Josepha Hale concocted the Thanksgiving we know of today. Hale published in the popular Godey’s Lady’s Book recipes for turkey and stuffing and pumpkin pie and started traditions that had nothing to do with the that 1621 feast. She successfully lobbied President Abraham Lincoln, who in 1863 agreed to declare Thanksgiving an annual holiday celebrated on the fourth Thursday of November every year. 3. White Meat Is Healthier Than Dark Meat. False (sort of). You aren’t wrong to think that there are nutritional differences between white and dark meat. Dark meat is definitely fattier and it has more calories, but there other nutritional benefits to dark meat like zinc, iron, riboflavin, B6, and B12. The differences between white and dark meat are really minor, and you shouldn’t worry that a piece of dark meat will set you back any more than an extra helping of stuffing will. 4. The Presidential Pardon of the Turkey Started With Abraham Lincoln. False! As the legend goes in 1863 President Lincoln’s 10-year-old son, Tad, supposedly became fond of a turkey given to the family to be eaten. Tad named the turkey Jack and begged his father, the President, to spare the bird. Lincoln did. Where this story is false though is that this happened on Christmas, not Thanksgiving. The official tradition of Presidents pardoning a turkey goes back to 1989, when president George H.W. Bush officially pardoned the first turkey. 5. The Bigger the Turkey the Better It Is. False! When buying a turkey you should compare the size of the breast to the size of the rest of the bird. Larger-breasted turkeys are new breeds that were created to produce a larger amount of meat, not better flavor. Go for a fresh heritage turkey or a crossbreed turkey, and get the idea that bigger is better out of your mind while doing the Thanksgiving grocery shopping. False! Sweet potatoes and yams (both Thanksgiving favorites) are not only different vegetables, they aren’t even from the same botanical family. Yams are related to water lilies and are grown primarily in Africa and Asia, while sweet potatoes are related to morning glories and hail from the Americas. Neither is closely related to potatoes believe it or not. 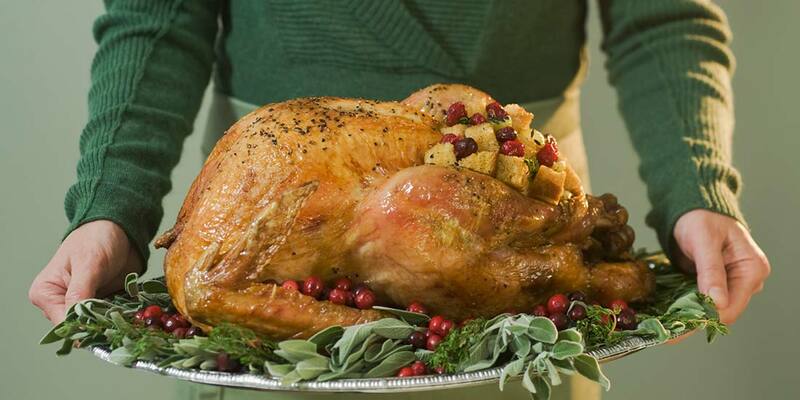 What are you eating at Thanksgiving dinner? Most likely sweet potatoes. 7. After the First Thanksgiving in 1621, Americans Have Been Celebrating Thanksgiving Each Year. False! 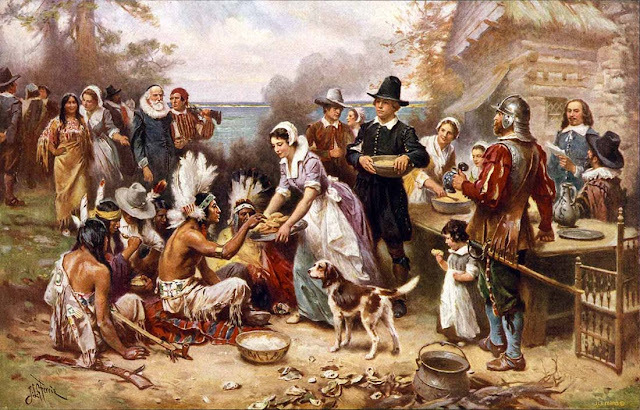 At the time of the 1621 feast (the “first” Thanksgiving), nobody thought of that meal as anything particularly special. In 1789, Washington made Thursday, November 26, a Thanksgiving holiday, but only for that year. In 1863 President Abraham Lincoln declared the fourth Tuesday of November a national holiday. In 1939 Franklin D. Roosevelt decided to move the annual Thanksgiving holiday to the third Thursday of November to make the Christmas shopping season a little bit longer. There was so much opposition to the move that two years later he changed it to the fourth Thursday in November.